I always say that eight out of 10 people I meet in Charlotte aren't from here. I can't say that my 80 percent theory is scientific, but I'm sure you would agree that Charlotte has a lot of newcomers and transplants. I've lived here for almost six years now and because of the work I do I've gotten to know the city really well. But it's easy to get caught up in the present and future and not know much about a place's history. 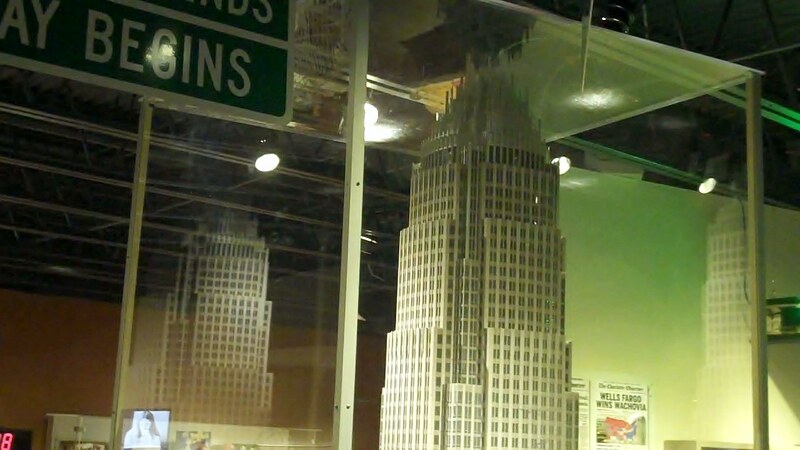 There's no better way to learn Charlotte's story than by visiting the Cotton Fields to Skyscrapers exhibit at Levine Museum of the New South. The award-winning exhibit that debuted in 2001 has just been renovated and updated to reflect the past decade. Levine Museum tells the history of the New South, which is defined as the period from the end of the Civil War (1865) to today. Cotton Fields to Skyscrapers is its permanent exhibit, located on the first floor, so if you've ever visited the museum you've likely journeyed through it. 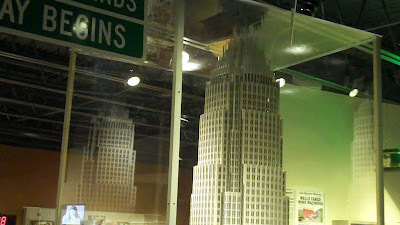 It's a large exhibit that literally guides you through Charlotte's history from when cotton fields dominated the landscape in the late 1800s and early 1900s to how the economy changed that eventually led to the businesses that built the skyscrapers we see in Uptown today. Or as the museum folks say, it goes from "farm to factory to finance." And along the way, you experience cool artifacts and features such as equipment from a cotton mill, a replica of an old Belk department store, a lunch counter that tells the story of Civil Rights Movement-era sit-ins, the history of integrating schools, the plight of factory workers, how Duke Energy became the largest utility company in the country, and more. Levine Museum has been celebrating its 20th anniversary since the beginning of the year, and things ramped up this week with an elaborate and festive gala, "Taste of Time," on Thursday that drew hundreds of people, including some of the city's most prominent figures. This week also saw the reopening of Cotton Fields to Skyscrapers, which underwent a three-month renovation. It now contains an additional 750 feet of gallery space, primarily comprised of the new end section, titled "Whirlwind of Growth, 1970s-2010s." In this section, which largely reflects the changes Charlotte has experienced since 2001, you see how the big banks got bigger--Bank of America and Wachovia--and how the latter was acquired by Wells Fargo. You also see how Charlotte has become one of the South's most diverse cities. A replica of the Bank of America Corporate Center stands tall in Cotton Fields to Skyscrapers. The exhibit also now features many new interactive components with touchscreen technology. There's the "Remix History" feature, where you can play with digital graphics on flatscreens to manipulate historic photos (it reminds of how the folks at CNN slide things around on their big screens when telling the news). There's also "Picture Yourself in History," where you sit in front of a green screen and have your picture taken to place yourself into an historic moment. The computer allows you to email the photo to yourself so you can have a keepsake (look for these to pop up on people's Facebook pages). But before you get to all of the cool new stuff at the end of the exhibit, you get to experience a new 10-minute intro film. Sitting in the theater at the entrance to the exhibit, you can watch a video that I guarantee will tell you some stuff about Charlotte you never knew. But you'll likely recognize the names of the voices narrating the film--former Bank of America chief Hugh McColl, NASCAR pioneer Humpy Wheeler, and radio personality Ramona Holloway. On Tuesday I attended a media tour for the reopening of Cotton Fields to Skyscrapers. Below is a few minutes of video I captured that showcases the new section at the end. Levine Museum historian Tom Hanchett points out some of the new features; then I wander off a little on my own. You should make sure to check it out for yourself, which you can do tomorrow (Sunday, May 1) during the museum's 20th Anniversary Community Celebration. The free event takes place 12-5 p.m. and you'll be treated to exhibit tours, music and dance performances, multimedia art, photography, family activities, and birthday cake. Levine Museum of the New South, 200 E. Seventh St., 704-333-1887, www.museumofthenewsouth.org. boy shut your big mouth and go to work!!!!!!!!!!!!!!!!!!!!!!!!!!!!! !